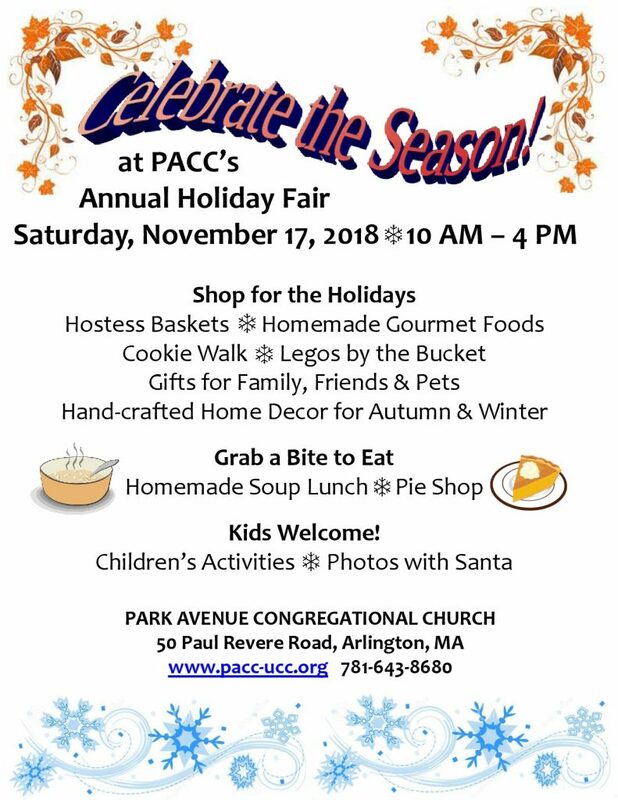 Park Avenue Congregational Church at 50 Paul Revere Road in Arlington Heights is pleased to announce that “Celebrate the Season!”, our annual Holiday Fair, will be held on Saturday, November 17, 2018. Check back here for more information as the fair approaches. If you have any questions or wish to help, please call the church office at 781-643-8680. Hope to see you at the Fair!